When starting a beekeeping business, one of the most important choices to be made is to select the type of bee to build up a colony. It is essential for the health of bees and performance of beehives that a bee race that is suitable for the region and the flora and climate of the region is selected. There is no such thing as the “best” and “most prolific” bee race. Bee colonies are the most healthy and prolific in the geographical region in which their genotypes adapt to environmental conditions the best and when they are kept in the most suitable environment. Traits of bee races can vary based on the condition of a beehive. For example a race which does not swarm can swarm if the beehive is too cramped and crowded. Therefore if a new colony or queen bee is going to be bought, the best thing is not only to consider characteristics of bee races but also paying attention to the local bee races in your region and keeping your hives in the best conditions. If migratory beekeeping is preferred, it is recommended not to move bees further than 200 kilometres. The local bee association can be contacted to buy a new colony or a colony can be bought from a well-informed and experienced beekeeper who has a healthy bee colony of the local ecotype. It is possible to find queen bees that are tested successful for performance from local queen bee breeders. Turkey has a wide variety of climates and topographic characteristics and twenty percent of local honey bee ecotypes are believed to be in Turkey. These are Caucasian Honey Bee(Apis mellifera caucasia), Iranian Honey Bee (Apis mellifera meda), Syrian Honey Bee(Apis mellifera Syriaca), Carniolan Honey Bee (Apis mellifera carnica), Anatolian Honey Bee (Apis mellifera anatolica) and their ecotypes including for example Muğla, Gökçeada, Yığılca and Giresun. Each honey bee race and its ecotype reflect their morphological and environmental behaviour. Caucasian honey bee is globally known for its calmness and productivity and currently under protection as a pure race. 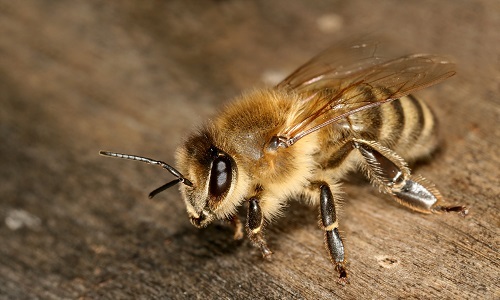 Caucasian honey bee is dark grey in colour and has a low tendency for swarming and is gentle and productive. Furthermore they gather large amounts of propolis since they easily adapt to highlands and to temperate climates. They build up in spring slower than other races but they form strong colonies throughout the summer and produce large amounts of honey. They tend to rob weaker colonies. They have 0.2 mm longer tongue than other races therefore it is easier for the bees to reach bottom of flower pistils and take nectar from where others cannot reach. 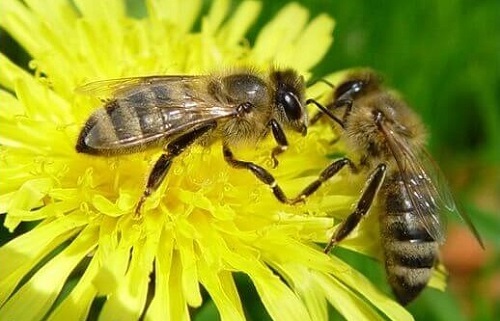 The most common bee race in Anatolia is the Anatolian honey bee. It has many ecotypes which have been adapted to different regions and show great variation with regard to their body colour, productivity and morphological and physiological traits. Muğla bee is the most known ecotype of Anatolian honey bee. Local honey bee of the South-eastern Anatolia can be Apis mellifera syriaca or Apis mellifera meda. The general characteristics of honey bees in the South-eastern Anatolia region include small colonies and relatively lower honey stock; they are more aggressive compared to other honey bees or Turkish ecotypes and they swarm easily. These traits are very good for the fluctuating hot weather conditions they live in however it is not suitable for beekeeping. Kandemir, I., Kence, M., & Kence, A. (2005).Morphometric and electrophoretic variation in different honey bee (Apis mellifera L.) populations.Turk J Vet Anim Sci, 29, 885-890. Bee races that have economic value in Turkey include Italian bees, Caucasian bees and Carniolan bees. The homeland of this race, which is also called Italian bee (Apis mellifera ligustica) is Italy, especially Sicily.. This race is known to be calm on combs and builds big colonies with its fast and all year long brood rearing capability in the Mediterranean ecology. They are mostly concentrated in Italy and around Mediterranean countries. They are the most known and commercially valuable race among yellow bees and they have contributed greatly to modern beekeeping. It has yellow chitin, yellow hair and a thin long abdomen. Italian honey bee has two types depending whether it has 3 or 5 bands (golden bee) on the abdomen. Compared to dark bees, it is small, it has slim abdomen and relatively longer tongue (6.3-6.6 mm). Cubital index is determined to be 2.2-2.5. The chitin belowthe abdomen and on 2nd and 4th rings is brighter in colour. It has yellow bands on its front rings. Colonies with light colour wide bands or with brown narrower bands are also common. Those with lighter shades generally have yellow rings. Ligustica has only one black dot at the tip of its abdomen and those with light yellow colour are known as Golden Bee or Aurea… Yellowish color is especially evident in drones. They are docile, they do not move much, they do not move around frames when the hives are inspected, they are good at brood rearing. In strong colonies, building up starts in spring and continues until autumn. They have good brood rearing activity and a week tendency to swarm. They accept queen bees easier than other races. They are known as the producer of the best comb honey due to their superb comb building skills. They keep their hives clean and are more resistant to wax moth and European Foulbrood compared to darker bees. They are greedy and consume high amount of honey during winter. If winter is long, more worker bees are lost during brood rearing, and building up of colonies becomes slow and difficult. Due to their high consumption, they can be faced with the risk of hunger in regions where nectar is not easily found. Liguistica race is a typical bee race which has been adapted to short, mild and humid winters, and dry summers where nectar is abundant in the Mediterranean region. They cannot be kept successfully in regions where winter is long and spring comes late. They do not store as much honey as the Caucasian honey bee for winter. Strong, resistant and smart colonieslead to more robbing behaviour but also increase their performance. The robbing behaviour of this race is one of its negative traits. They usually fly towards wrong hives. Carniolan honey bee is slim and has a long tongue. Has short and thick hair. 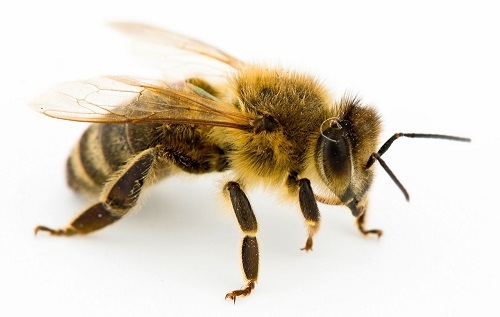 Carniolan honey bee, which is also known as grey bee has a very dark chitin and usually has brown dots and sometimes brown lines on the 2nd and 3rd bands. They are the most docile and gentle bee race. They have good brood rearing skills. They winter in small clusters therefore they consume less food. As long as pollen is enough they continue to rear broods for a long time. They have good wintering skills even in very harsh conditions. They have good sense of orientation and good at finding their hives. They do not have tendency to rob. They have high adaptability to changing environmental conditions. The population of the cluster decreases fast in autumn. They have a strong disposition to swarming.. They use very little amount of propolis and therefore susceptible to brood diseases. Caucasian honey bee (Apis mellifera caucasica) is one of the 4 most important bee races which are good for beekeeping with an economic value. Caucasian honey bee originates from the northern and mountainous area in the Caucasians (Georgia, Azerbaijan, Armenia). The area where Caucasian honey bees are kept is the North-eastern Anatolia up to Ardahan and Artvin. Caucasian honey bee (Apis mellifera caucasica) looks similar to carniolan honey bee with regard to shape, size and hair. Chitin colour is dark and there are brown spots on the first abdomen band. The main characteristic of this bee is the length of its tongue with 7.2 mm and it is a hard-working bee. The Caucasian bee race has the longest tongue among the known bee races. Using its tongue that is 3 mm longer than other bee races, Caucasian bee can have access to nectars in flowers that others cannot and this makes its honey superior and different than others. Being docile and calm on combs are the most typical characteristics. They brood well and form strong colonies. However mid-summer is the time when they are the strongest. They have a weak tendency to swarming. They use propolis a lot. They have high honey production. They forage white clovers very well. They can work in low temperatures and unfavourable climates. Since they seal combs very well leaving no gap between honey and seal, their comb honey looks dark and humid. Due to their greater sensibility to Nosema, they do not winter well in northern regions. They tend to robb. They have high honey yield. Being docile and calm on combs are the most typical characteristics. They have a slow brood rearing rhythm and build up slowly in spring. The colony cannot reach its full power before mid-summer. However mid-summer is the time when they are the strongest. They have a weak tendency to swarming. They use propolis a lot. Due to their greater sensibility to Nosema, they do not winter well in northern regions. They tend to rob. They tend to build irregular brace-combs. Since they seal combs very well leaving no gap between honey and seal, their comb honey looks dark and humid. Anatolian honey bee (Apis mellifera anatoliaca) can be seen in most parts of Anatolia. It was classified as a race in 1953. 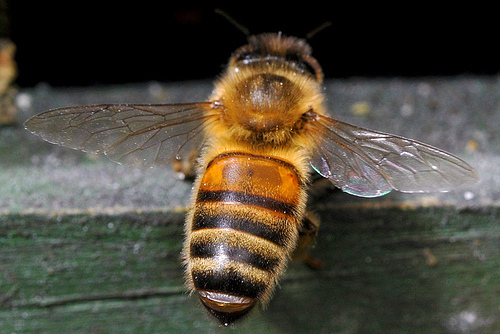 Anatolian honey bees have been taken to the UK and USA to cross breed with other races. Different ecotypes including Aegean ecotype are considered to be possible. Anatolian honey bees are dark and small bees. They can stand to harsh winter conditions and have good brood rearing and honey production. The biggest trait is that they have adapted to Anatolian geography and its climate very well. They have advantages such as being hardworking, good overwintering capability and resistance to diseases. One of the best traits of Anatolian honey bees is that they can forage and survive even in the most difficult conditions.